Ever confused by all of the many sources of Las Vegas information on the internet? Wouldn't it be great to have someone in Las Vegas who is in the know who can provide knowledgeable, first-had help and answers? 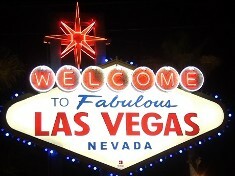 What if I told you that for the price of a decent cup of coffee each month, YOU can have access to hundreds of "no coupon needed" Las Vegas food and beverage specials guaranteed to save you money, plus, real answers to your Vegas questions, and our exclusive weekly members hotsheet with exclusive news and reviews, directly from the heart of Las Vegas! Interested? Now you can have it ALL - for one Low Price - the AccessVegas.com Insider Advantage Newsletter! New Locations for Win Cards - Free Money! You can now get Win Cards at Circus Circus, Mandalay Bay, and New York New York in Las Vegas. Tell them Vegas Vic sent you. Watch these pages for new videos soon, and more Great Casino Deals. Win Cards at the New Tropicana - Hurry - Offer Ends Soon! We recently visited the New Tropicana Casino Resort in Las Vegas, and found two Great Casino Deals. One is the Win Card Program, which gives you Free Money with which to play Blackjack, Craps or Roulette, while also showing you how to make the best decisions, and explains the odds and pays on these great traditional casino table games. The second is the Trop's Trop Plus Player's Club, where you can sign up for Free, and the New Tropicana then offers you up to $200 cash back in free play reimbursement for any casino loss up to that amount. Free Money! That's what makes both of these Great Casino Deals for sure! These Great Deals on Win Cards at the Tropicana will end soon. Hurry now, and get your Free Money while it lasts! And when you visit the Tropicana, tell them you want the Win Cards! If they don't have them, ask that they get them back. As Part of our expanding program of new and exciting information, we have also created a new Video Series about Great Casino Desstinations, and Great Casino Restaurants. The first episodes are posted on this page. Additional episodes - as we expand this show - will be posted later, and on related pages, with links provided here.